Get to know Doro and Tricia and TODAY’s BB&R! Doro and Tricia founded the wellness company BB&R, Bright, Bold and Real over a decade and a half ago with a very clear goal: to share with others what they’ve learned about mindfulness and holistic living so that everyone can begin to live their best life. Imagine being the only woman in history to have seen both a father and brother serve as president of the United States of America. Imagine having to balance this intensely public life with your own private life of raising four children. Doro has managed, with grace and resilience, the many demands that come with being the daughter and sister of two United States Presidents by practicing mindfulness. Mindfulness has had such a positive impact on Doro’s life that she has spent the last two decades sharing the power of this ancient practice with others through her meditation CDs and at wellness conferences. Doro is the New York Times best-selling author of the book “My Father, My President: A Personal Account of the Life of George H.W. Bush.” She is also the chairwoman of The Barbara Bush Foundation for Family Literacy. Carrying on her parents’ deep sense of duty to others, Doro co-founded BB&R Wellness Consulting with the goal of helping people improve their health and overall sense of wellbeing so that they can begin to live their best life. Tricia was introduced to the world of holistic health and meditation through her maternal grandmother. Driven by a life-long passion to understand the mind-body connection, Tricia is a certified holistic health coach and a student of ayurvedic living. She is also an entrepreneur. Tricia’s most recent business endeavor is Georgetown Gourmet Market, located in Reagan National Airport, with a mission to bring healthier foods to travelers. 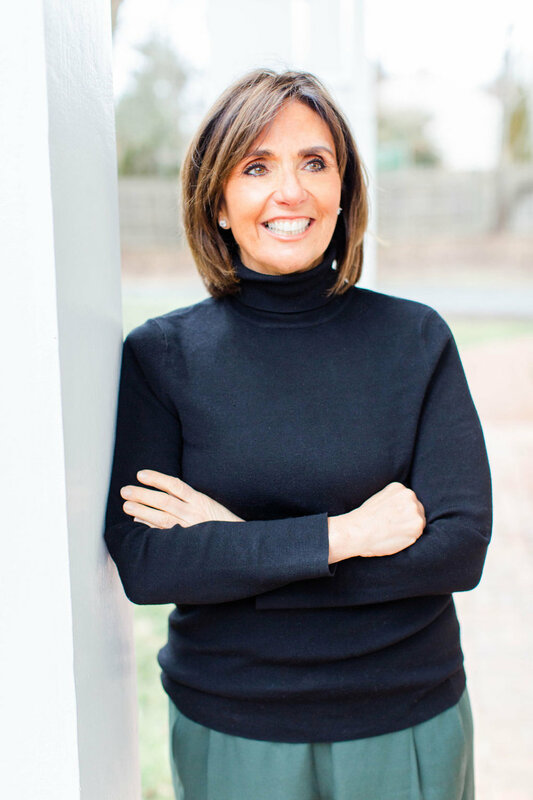 In addition to co-founding BB&R Wellness Consulting, Tricia has worked as an advocate and consultant helping individuals and businesses rethink health and wellness in the 21st century. TODAY’s BB&R…what our team is up to! BB&R created the Achieving Optimal Health Conference, which is an annual conference that teaches people mind-body techniques to improve their physical and spiritual health. Georgetown University’s GU Wellness partnered with BB&R nine years ago to create what has become the premier health conference of its kind in the country. With the support of so many in the community, the Achieving Optimal Health Conference has grown exponentially from being a conference to a movement! BB&R has produced meditation seminars, blog posts and CD’s. Doro speaks around the country on how mindfulness and breathing can positively impact our lives. The popular BB&R REBOOT Nutrition program was created to help all of us realize that it is in our power to create a life we love. Countless people have benefited from this program. If you are ready for a REBOOT and want to reach your optimal state of balance and brilliance, jump in. The team at BB&R are very busy working on creating labs powered by “citizen scientists.” Our first lab was opened in late 2018 and we are eager to report the findings of how each of us can share our health “successes” with each other. It will be one of the first ever citizen scientist platforms focused on health and wellness. Tricia and Doro are also the cofounders of HEALTH GIG, a podcast that features conversations with health experts and cultural leaders who share their personal insights and stories about health and wellness. Listen to your weekly dose of inspiration on Spotify or iTunes.